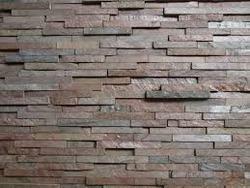 Prominent & Leading Manufacturer from Jaipur, we offer wall cladding. In order to cater to the varied demands of market, we are engaged in offering Wall Cladding. Our customers widely appreciate the offered wall claddings for their fine finishing. To ensure the same, our professionals process these wall claddings by utilizing best grade material and advance technology. Post processing, we check these wall claddings so as to ensure their flawlessness.